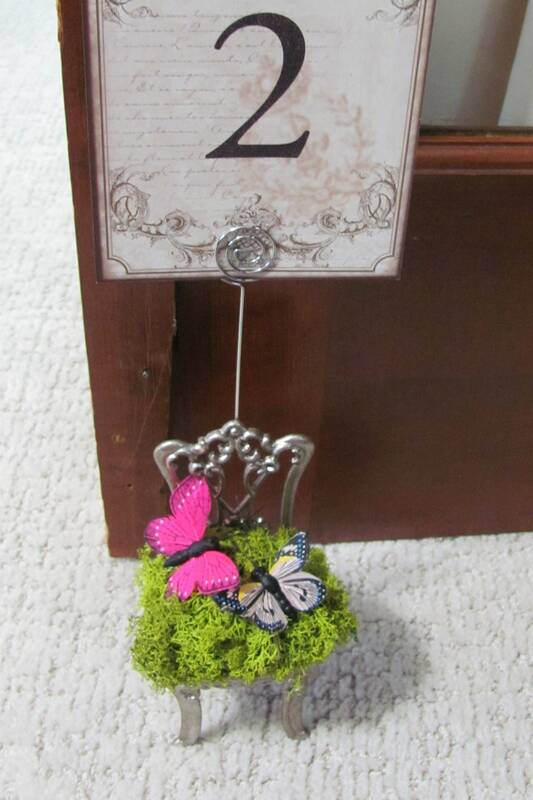 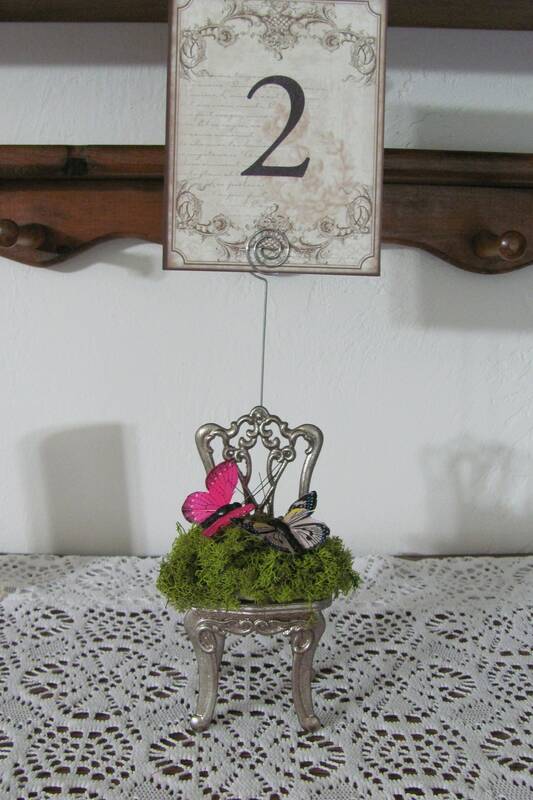 Butterfly table number holder or photo holder.Unique wedding table number holder features a mini chair card holder or photo holder. 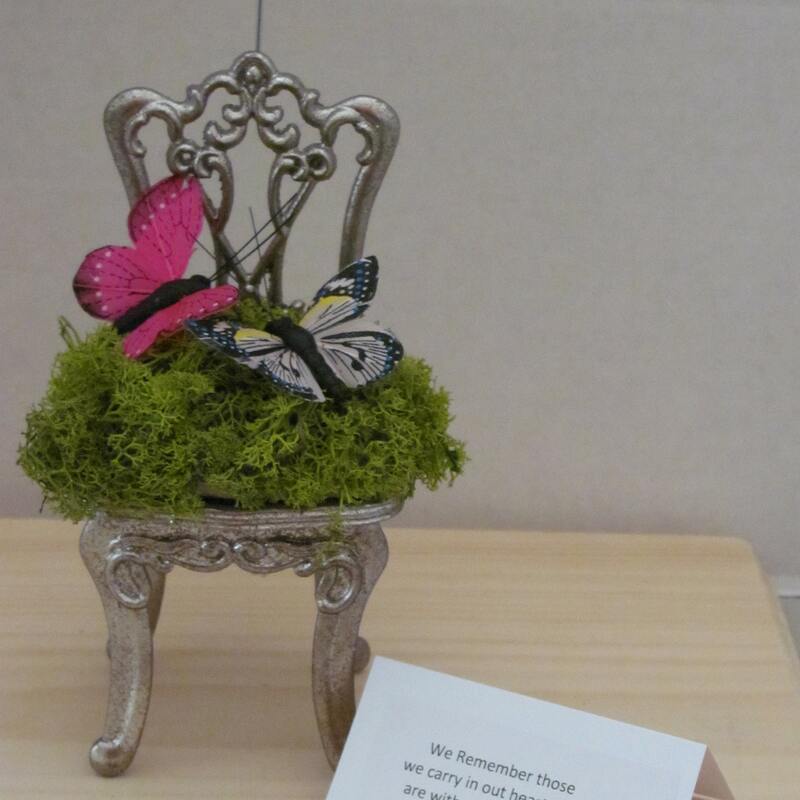 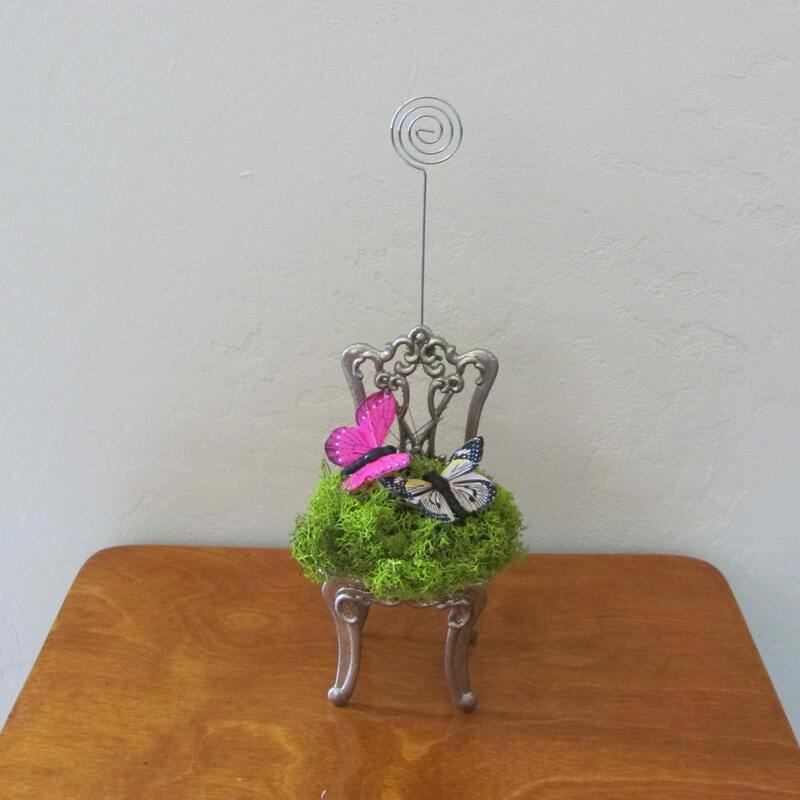 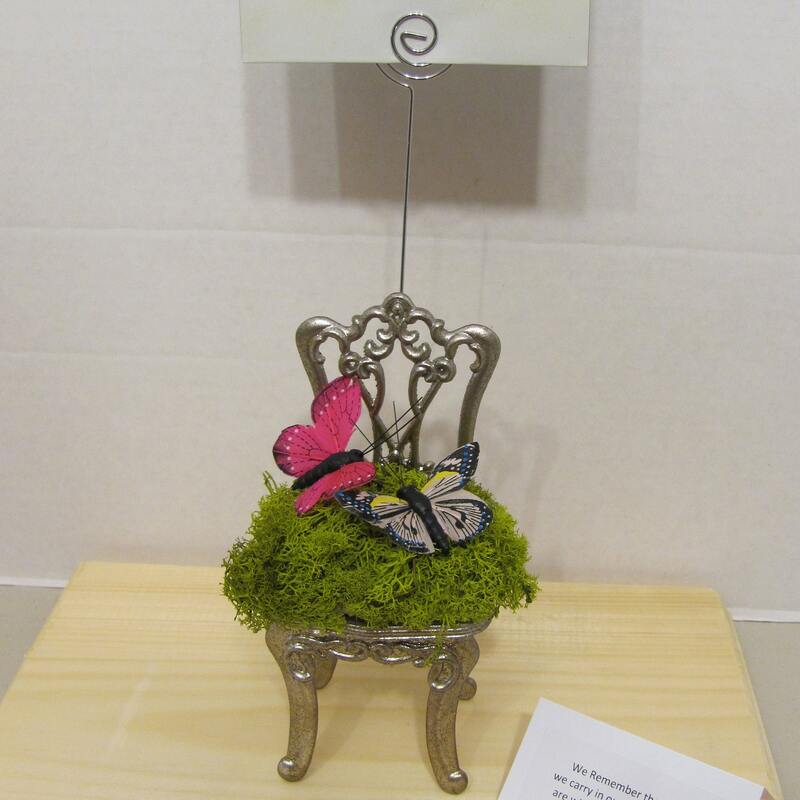 I decorated this mini chair with moss and butterflies and added a wire holder for you to insert your own table number cards or photo. 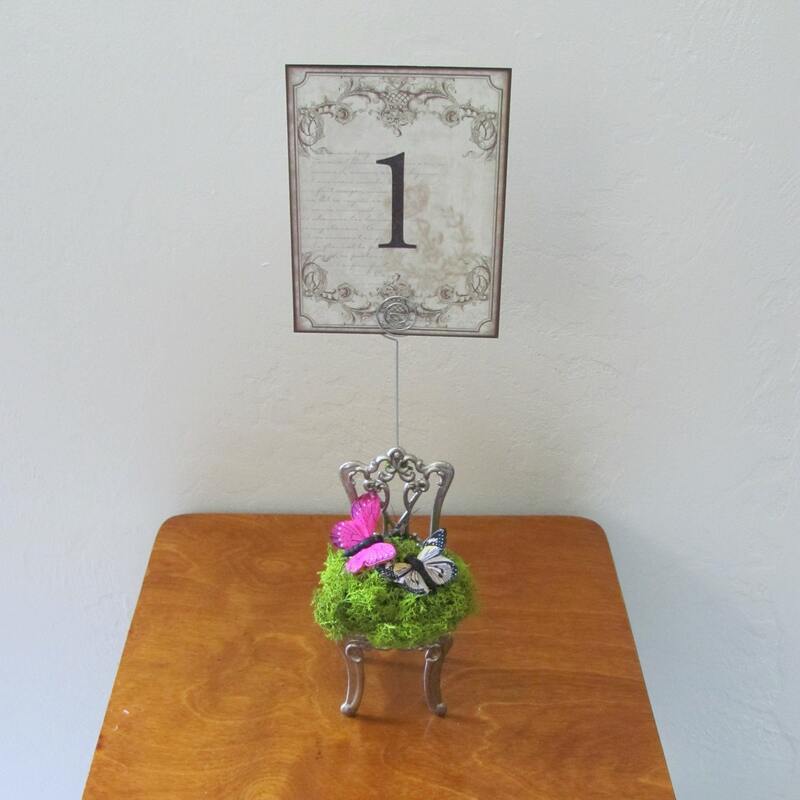 You can also use these to create a spot on each reception table or on a special table to hold photos of those family, friends and loved ones who have passed away but are there in spirit at your reception celebration. 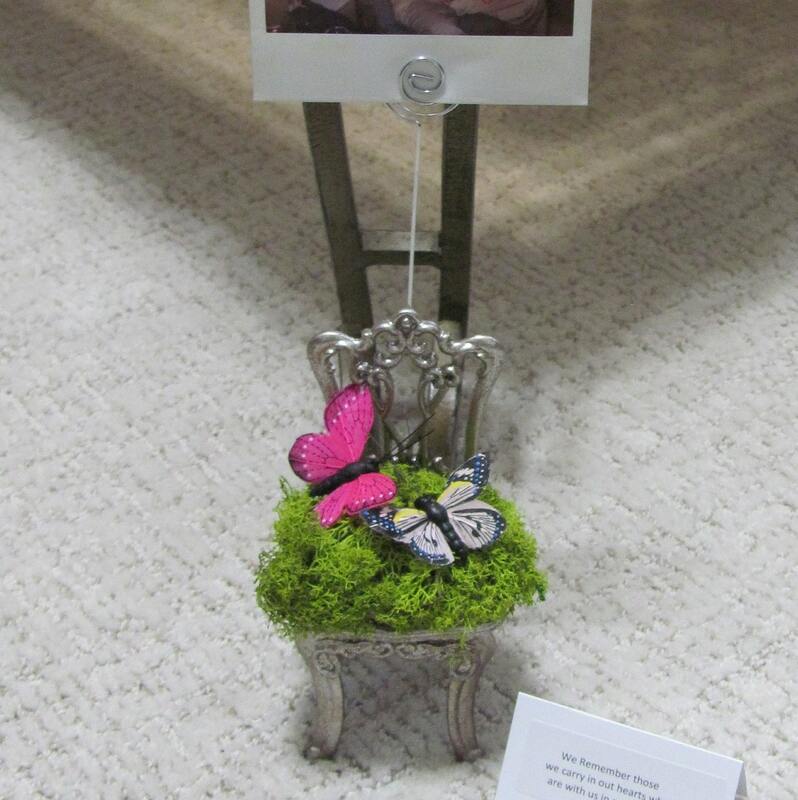 IDEA***little card reads: We Remember those we carry in our hearts who are with us in spirit today. 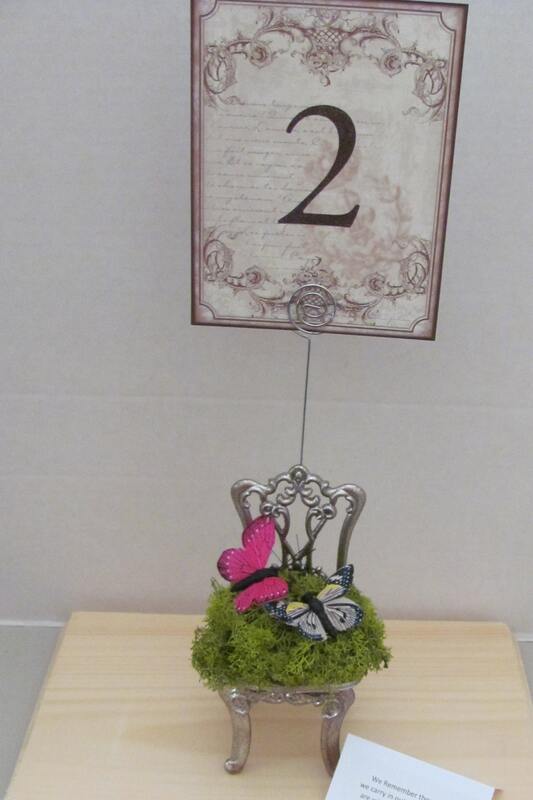 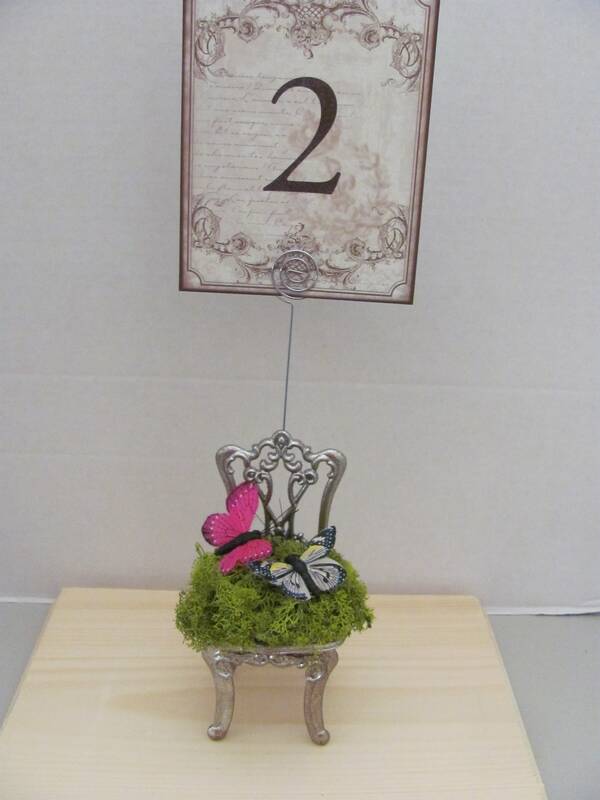 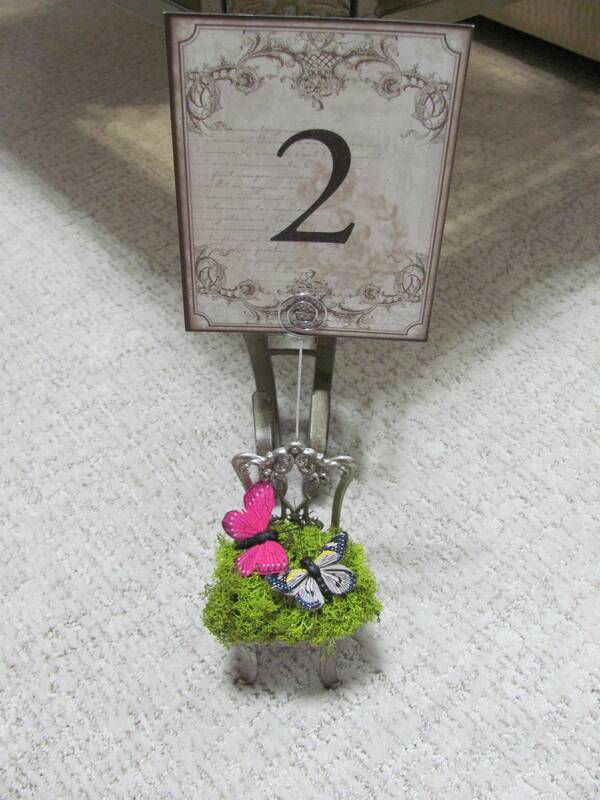 Table numbers and photos are not included with your purchase of the mini metal chair with moss, butterflies and metal card holder.